Gardening is a passion that can start from an early age, and whilst giving a 7 year old a lawnmower is a terrible idea, we don't think any budding gardener should be discouraged because of their age! With this in mind, we stock a great range of items for children. These toys are fun to play with, and most importantly, safe. 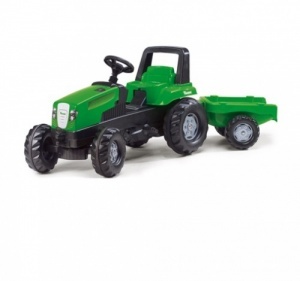 Whether it's pushing around a scaled down wheelbarrow or riding a child-sized tractor, our toys offer a great way for children who love gardening to play. A brilliant, battery-operated chainsaw keyring, complete with sound effects and including batteries. This children's baseball cap is made from 100% unbrushed cotton and features the STIHL logo embroidered on the front panel, as well as a metal buckle with a STIHL logo too. 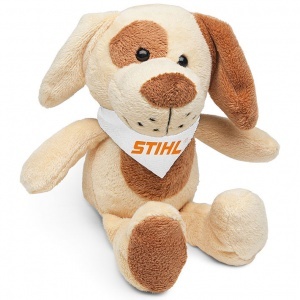 The STIHL soft toy dog is beautifully made, and is perfect to comfort your child with. Featuring a STIHL branded white neck scarf. 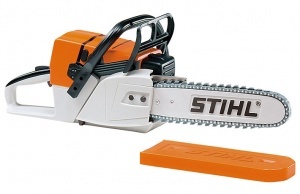 STIHL's battery-operated toy chainsaw, for children aged 3 and over, includes batteries, a revolving rubber chain and authentic chainsaw noises with adjustable volume. Includes batteries. A brilliant toy for enthusiastic children aged 5 and over. 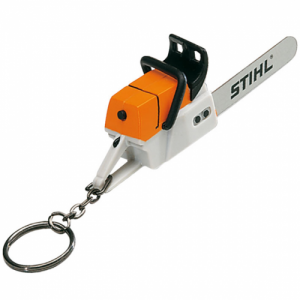 Being battery-operated, it includes an authentic clearing saw noise with adjustable volume. 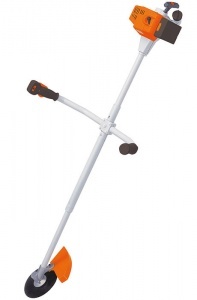 Length adjustable from 86 cm to 107 cm. 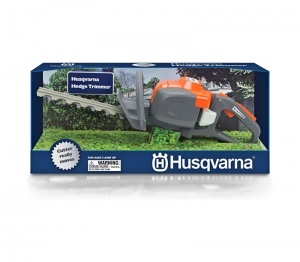 A fantastic children's gift, this battery operated hedge trimmer features realistic noises and even has moving blades to mirror Husqvarna's own hedge trimmer range. 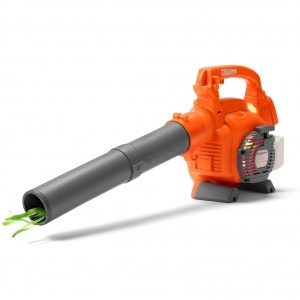 This battery operated leaf blower children's toy is designed to look and act just like a real Husqvarna blower, making a realistic noise and even blowing air through the nozzle when the trigger is pulled. 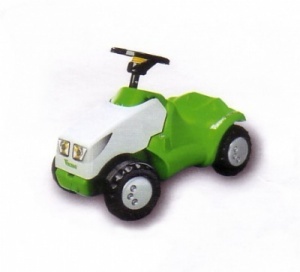 The Viking mini trac is a robust replica of the ride on mower that is suitable for children that are at least 2 years old. A great toy for inspiring the imagination of children. 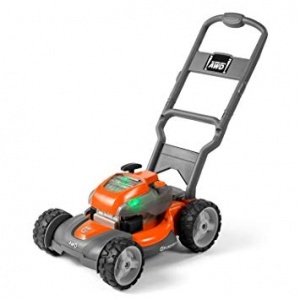 Battery operated toy lawnmower, includes batteries. 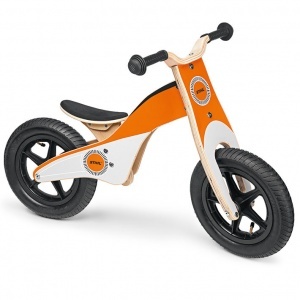 This child's balance bike is suitable for children from 3-6 years of age and is constructed of birch plywood. With an adjustable seat and a maximum weight of 30 kg. The Viking junior trac push along tractor features an easily removable trailer which will be ideal for all your children!